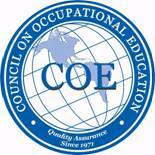 Defense Ammunition Center (DAC) is accredited by the Commission of the Council on Occupational Education. Accreditation is a status granted to educational programs or institutions that meet or exceed stated criteria of educational quality. COE is recognized as a nationally-honored seal of excellence for education and training and is the accrediting agency used by military and governmental agencies. As an avenue of last resort, for grievances that have not been handled through chain of command; students, faculty and staff can contact Council on Occupational Education Executive Director, Commission of the Council of Occupational Education, 7840 Roswell Road, Bldg. 300, Suite 325, Atlanta, GA 30350, or submit their comments via the council web site (www. council.org). The American Council on Education's College Credit Recommendation Service (ACE CREDIT(r)) evaluates and recommends college credit for approved US Army Defense Ammunition Center courses. In obtaining this accreditation, the Defense Ammunition Center has demonstrated that it complies with the ANSI/IACET Standard, which is recognized internationally as a standard of good practice. Accredited Provider status authorizes the Defense Ammunition Center to offer IACET CEUs for its courses that qualify under the ANSI/IACET Standard. The American Council on Education’s College Credit Recommendation Service (ACE CREDIT®) has evaluated and recommended college credit for several of the US Army Defense Ammunition Center’s courses. 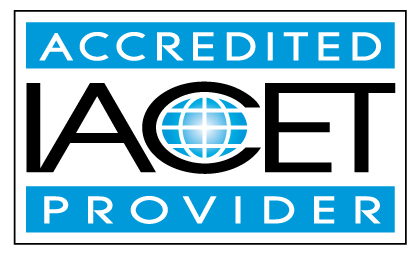 ACE CREDIT connects workplace learning with colleges and universities by helping adults gain access to academic credit at colleges and universities for formal courses and examinations taken in the workplace or other settings outside traditional higher education. For more information, visit the ACE CREDIT website at www.acenet.edu/credit.